If you are boycotting Left 4 Dead 2 because you think Valve isn't supporting it, well, it's time to ease up a bit. According to Valve spokesperson Doug Lombardi we should have a DLC announcement for the original title soon, and we can expect the DLC to be available on both the Xbox 360 and PC versions of the game. There's no details yet as to what the content entails; whether it's a new gameplay mode, new maps, or something else. Lombardi went on to say that fans that preorder the game either via Steam or a participating retailer will get a pre-release multiplayer demo. Another interesting tidbit from Valve regarding the upcoming sequel is the possibility of cross game play. What exactly does that mean? From what I can gather this would be a PC only feature that would allow server browsing of both Left 4 Dead, Left 4 Dead 2 and custom DLC content without having to switch games. While there's nothing official to announce, Lombardi stated that Valve is actively looking at this and we should hear more about it in the near future. 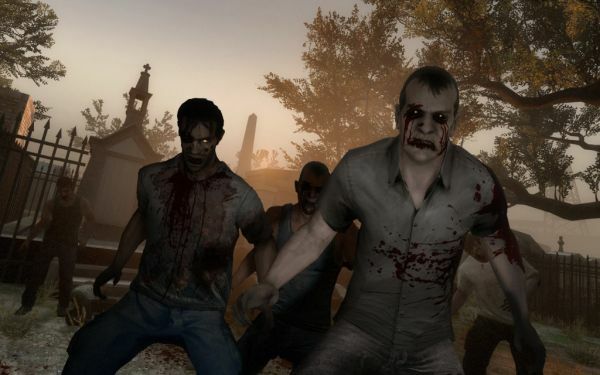 Left 4 Dead 2 features 4 player co-op play on both the Xbox 360 and PC and is set to release on November 17th.